School Nurse Information on this page is posted on behalf of the School Nurse. School nurses are qualified registered nurses. The School Nurse Team promotes the holistic health of school aged children and work in partnership with children, young people, their families, schools and allied professionals. They encourage children and young people to think about their health and become responsible for their own health as they progress through adolescence into adulthood. School nurses are not based in individual schools but have a cluster of schools. Parents can contact the school nurse to discuss any health concerns; school staff can refer young people to see the school nurse, and we request that they speak with parents before any referrals are made. Young people can self-refer, and any discussions are confidential unless there are safeguarding concerns. The school nurse team will also be in school at certain times to offer health advice on topics such as healthy eating, smoking, drugs and alcohol, emotional health, dental health, hygiene and growing up. Lindsey Franks School Nurse offers appointments at Wigston Academy on Thursday mornings. A school nurse is available during the school holidays, please leave a message on any of the above phone lines and a school nurse will contact you as soon as they can. Training has been provided to school staff for this year. Please can you ensure that your child’s epipen is in school and is in date and that the school is aware. 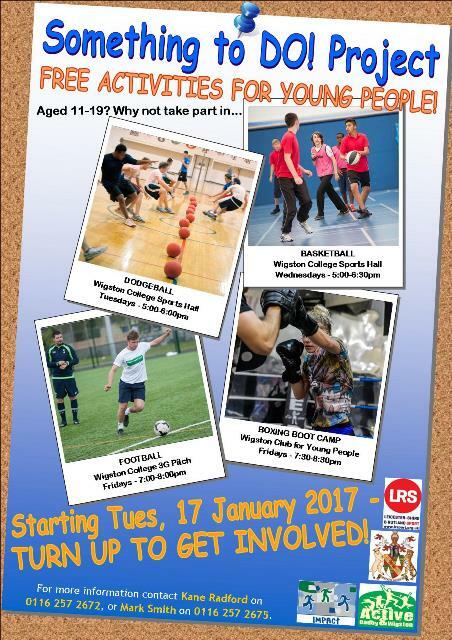 There are lots of activities for young people in the community. Click on the link to find out more. The websites below provide health information for parents, children and young people.